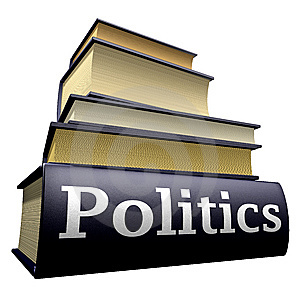 Originally, ‘politics’ was a means of resolving conflicts through conversation and negotiation, with the goal of finding common ground where a diversity of perspectives could exist. In the current polarised setting we need more clarity and a re-appreciation of existing political practices to facilitate constructive dialogues between different groups within society. We are curious about your thoughts and perspectives, and would especially like to give voice to highly effective people who regularly consider the appreciative perspective in politics. Politicians, policy officers, civil servants, employees in dynamic organisations, students. How and why do you appreciate politics? What does appreciating politics mean to you? Why is it relevant for you to appreciate politics? What is your most memorable example of appreciation in politics? Which appreciative stories about politics do you want to share with others? How can an appreciative view of politics be made more sustainable, both in the near and distant future? What are aspects of our modern world that call for an appreciative view on politics? What would you focus on as new future paths for developing appreciative politics? What is your dream for the future of (appreciative) politics? Which question would you like to close your contribution with, and how would you start a new conversation? All creative formats are more than welcome. Feel free to use drawings, emojis, pictures, graphic facilitation, notes and more. Are you enthused by the thought of contributing to this issue? Is your brain already generating ideas? Please contact us asap, and send a proposal of max. 300 words. By 10th of May we would like to receive your first draft. If your draft is accepted, you should send your final work latest by June 14th. Any questions and can be sent to fleurrenirie@hotmail.com.